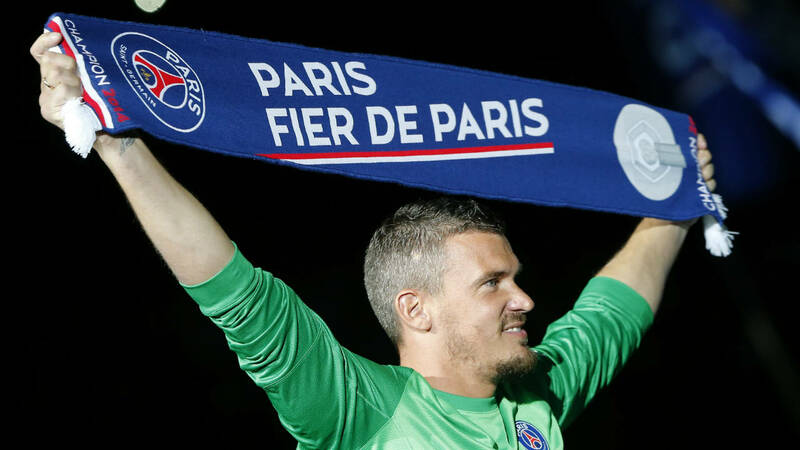 PARIS — Lens goalkeeper Nicolas Douchez was taken into police custody for suspected drunken violence against a girlfriend, with a newspaper reporting she was found naked, bruised and bloody in a Paris apartment. A police official and a judicial official confirmed Douchez’s detention. The judicial official said the victim was Douchez’s girlfriend. Douchez was released from custody Friday afternoon and will be tried on a charge of drunken violence, the official added. Both officials spoke on condition of anonymity because they weren’t authorized to speak in detail about the case.